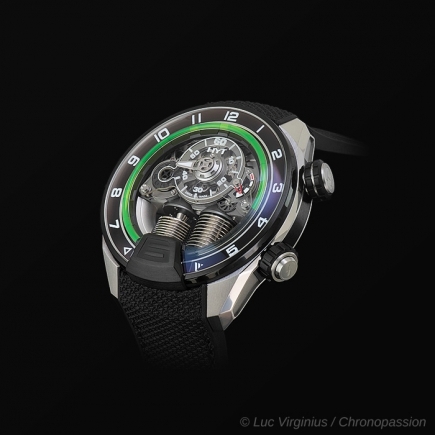 HYT | 54'000 € Tax inc. The inspiration of meticulous excavation finds expression in a focus on the bare essentials of the passage of time. Their instigator comprises two multi-layer bellows, visible through the dial. 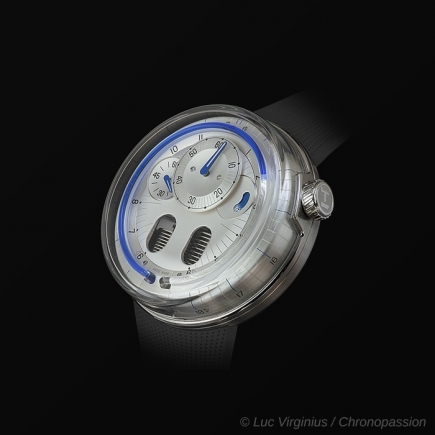 These trigger the forward movement of time through the patented HYT micro-fluidic module. 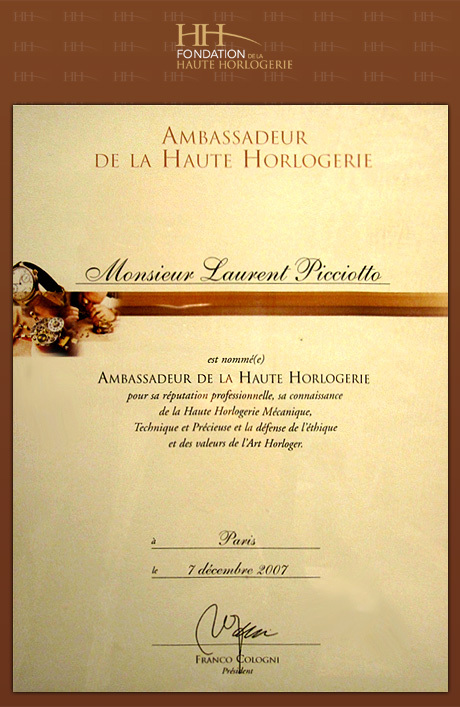 Aesthetics applaud the science-based measurement of liquid. A curved dial surface appears to host a drop of water; a subtle wave pattern completes the scene. Like unrestrained water, time never stands still. 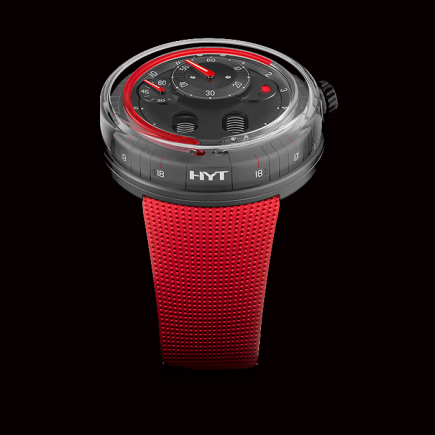 HYT is graphic in its core belief that context and content define time. It supports this viewpoint in the H0 Gold with an instantly visible red fluid indicating recently elapsed time and a clear one suggesting what is to come. Considered dial detail, such as a power reserve display with a water-themed pattern, provide exacting punctuation in this 360° statement on the intricate relationship between time and space. An ultra-matte black strap in alligator leather complements the 18k Champagne-colored gold case. With 2N purity and a confidently current mix of circular brushing and fine sandblasting, this confirms the timepiece’s relevance and presence, rooted in what matters. A golden opportunity to go with the flow.